Sign up to win RoadWayve, and get 50% off when we launch! RoadWayve is an LED message board that creates a new method of communication on the road to facilitate a safer environment for drivers and combat road rage. 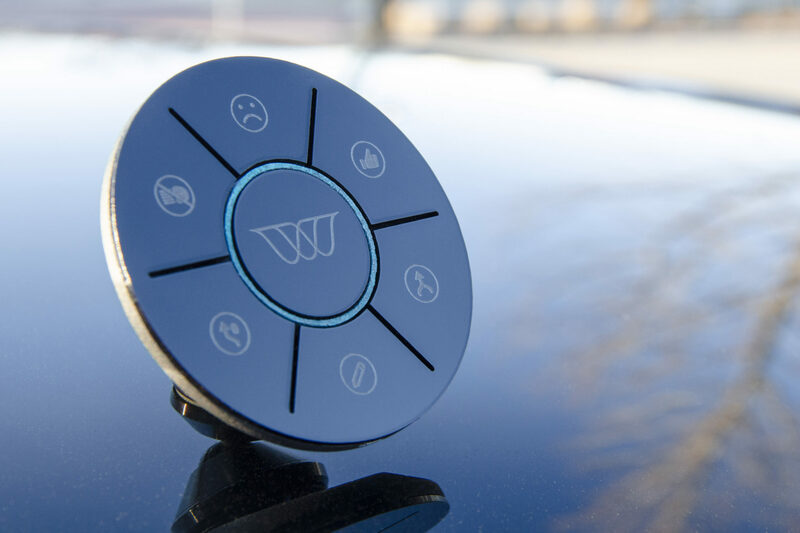 Install RoadWayve on your car’s rear windshield, pair it with the Wayvemote Bluetooth remote control, download the RoadWayve mobile app, connect the two via Bluetooth and start safely sharing messages. You can use Wayvemote to display preset messages or create your own custom messages through the app by activating voice control. Sign up for your chance to win RoadWayve! 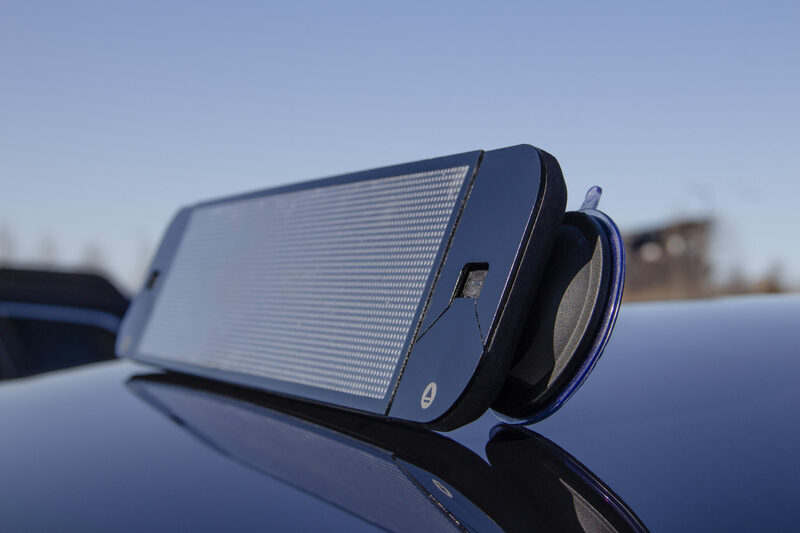 Built around a bright, pixel-dense LED display, RoadWayve produces high-resolution messages that are visible to other drivers, up to 50 feet away — and through most weather conditions. Its sleek design conveniently allows the message board to be mounted on any window in your car, at any angle, with suction cup connectors. Not to mention, charging is made easy with a micro-USB cable that plugs right into your car. Display a short preset message without taking your eyes off the road in front of you. Wayvemote is pre-programmed with six messages so you can quickly share what’s on your mind with one touch of a button. These messages include simple road commands such as “I’m sorry”, “Thank you”, “Turn off high beams”, “Let me merge”, “Go around me” and one other user-customizable button! You can attach it to the magnetic mount anywhere in your car. It can also be easily charged with the same micro-USB cable. 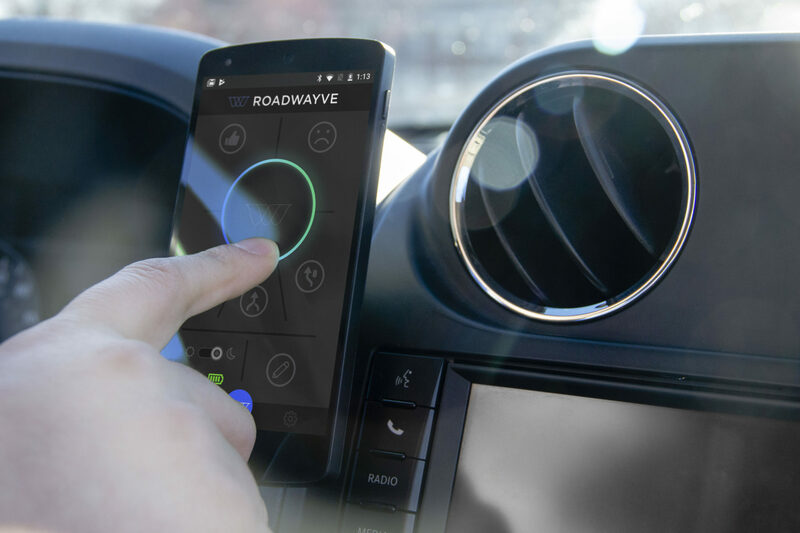 The RoadWayve mobile app aids in turning your road rage into road respect. Inspired by Wayvemote, the app’s distinct and intuitive interface allows you to exchange customized messages with other drivers. First, connect your smartphone (Android or iOS) via Bluetooth to the app, then select the voice control option to share your specific thoughts with a driver that cut you off (or let you in their lane)! If you choose not to utilize the voice control option, there are other preset messages offered on the app in addition to the six on Wayvemote. Share this contest and refer your friends to earn more entries.